NYC, 05/07/2019, 6:30PM. 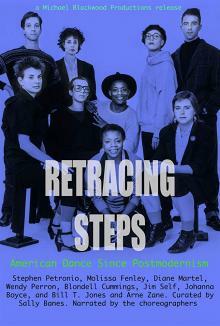 Documentary: Retracing Steps: American Dance Since Postmodernism (1988). The nine choreographers featured in Retracing Steps eloquently illustrate the eclecticism found in American dance. Made in 1988, The movie mirrors the best of the New York dance scene. 89 min. Director: Michael Blackwood. Starring: Johanna Boyce, Blondell Cummings, Molissa Fenley.